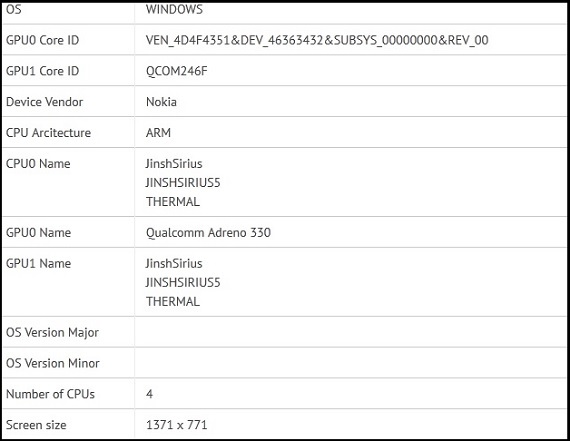 This is not the first time that details of Nokia Tablet have leaked which is codenamed as Nokia Sirius. Earlier leaked photos and specs claimed that the Nokia Tablet is having Lumia inspired design and it’s going to operate on Windows RT OS. Recently a bunch of specs leaked again which are claiming few more details regarding the rumored tablet. Nokiapoweruser first got its hand on the leaked specs sheet of the Nokia Sirius and now it’s all spread over the internet which shows the popularity of Nokia Tablet. No doubt, the tablet will be successful for Nokia because people are still waiting for some great tablet running on Windows OS. This was the image leaked on web and it claims that Nokia Sirius will be based on ARM and it will run on Windows RT 8.1 operating system. There will be a quad core processor inside along with Adreno 330 GPU. The display size is leaked as 10.1 inch whose resolution is set to be 1371×771 pixels. 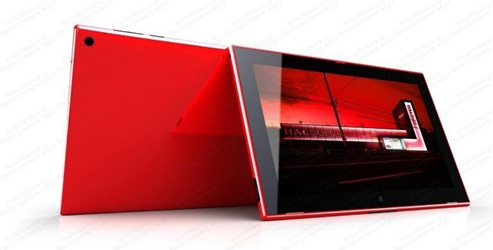 There is already lots of couple of pictures leaked of the tablet and Nokia must be planning the launch event soon. The rumored September 26 event set for the launch of Nokia’s Phablet (Lumia 1520) may also get the Nokia Sirius tablet announced. There are rumors going all way that Nokia is going to challenge the new iPad which is about to get launch with this Sirius Tablet. I’m confident on hardware quality and performance which Nokia will manufacture but Windows RT software is still in doubt. Let see what all new features Windows RT 8.1 brings to the tablet. But if software does well then Nokia Sirius Tablet can be successful and challenge the upcoming iPad.